There may be people who still believe in filing comments with the Ministry of the Environment about the wind project proposed in their area – the government might actually listen to you and take your concerns into consideration- at least that’s what they say they will do. Do you ever wonder why the government and wind company push for you to fill out those forms at Wind Company public meetings? Why they insist you follow public process? “Submit Comments!! !”, they seem to scream everywhere. Well, when you’ve been to the end, the Environmental Review Tribunal as an appellant, you might be witness to where all those oh-so-harmless looking ‘comments’ that you provided to your government, in good faith, go: Directly to the MOE’s evidence to use against you in any way they can. See my name below for the Zephyr appeal…. Esther. One of the wind turbines (# 3) hardly ever operates. It is said to be “defective”. Apparently the foundation was poured over a rather large, fresh water spring. As a result the tower is floating on a “bubble”. Turning the blades causes it to shake and ultimately lean. With all the stringent environmental controls that you have in place, how could they (the MOE) not know about this? The Zephyr project in Watford isn’t even fully operational and its just been sold. Flip flip flip and scram scram scram. 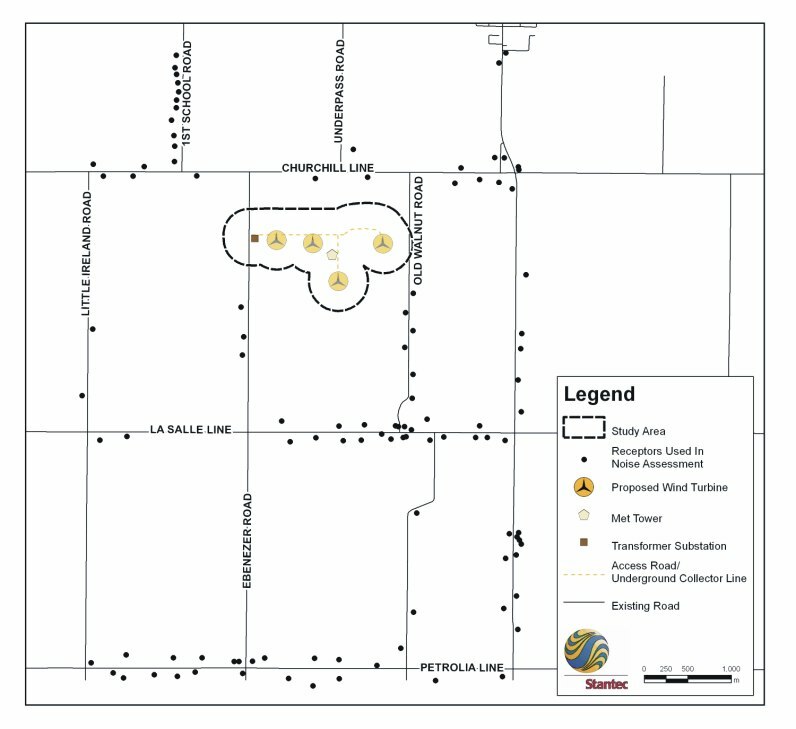 Note that the the project is targeted to generate $60 million in revenue over 20 years while the community of Brooke-Alvinston receives nothing except for the noise and all the other negative affects. What a disgusting scam. IRVINE, Calif., April 25, 2012 /PRNewswire via COMTEX/ — Quantum Fuel Systems Technologies Worldwide, Inc. /quotes/zigman/3949076/quotes/nls/qtww QTWW +8.18% today announced that its wholly-owned subsidiary, Schneider Power Inc. (“Schneider”), a leading developer and owner of renewable energy power plants, backed by the Schneider family’s 120 years of experience in renewable energy has acquired a newly constructed 10 megawatt utility-scale wind farm in Ontario, Canada. 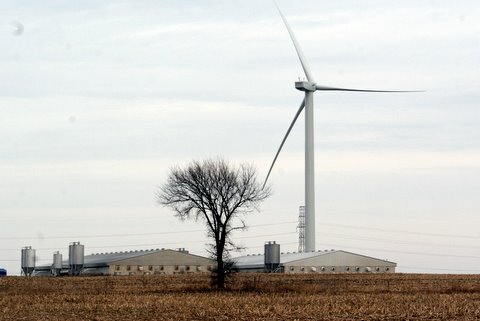 The Zephyr wind farm (“Zephyr”) generation facility will supply electricity to the Ontario Power Authority under a 20-year renewable energy purchase contract, generating in excess of $3 million in estimated annual revenues. 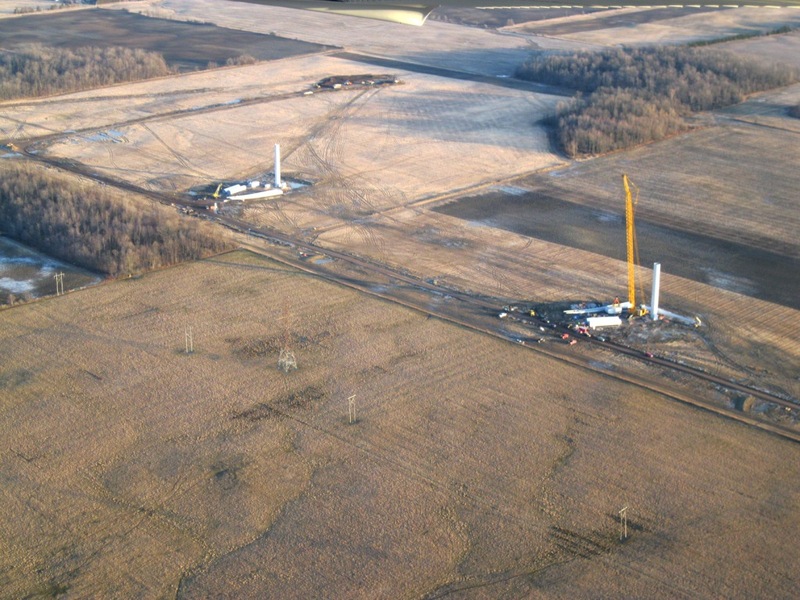 The project commenced power generation testing at 25% capacity on April 20th 2012, and is projected to go into full production on or about May 5th, producing more than 26.7 Giga watt-hours of clean electricity per year, enough to meet the needs of 3,000 Canadian households. The project is financed by Samsung Heavy Industries of Korea. Brooke-Alvinston– I’m sorry. I wish the wind companies and the Ministry of Environement were too. And for those who need to know the differnce between a ‘windmill’ and a ‘wind turbine’ – the photo below and 500′. 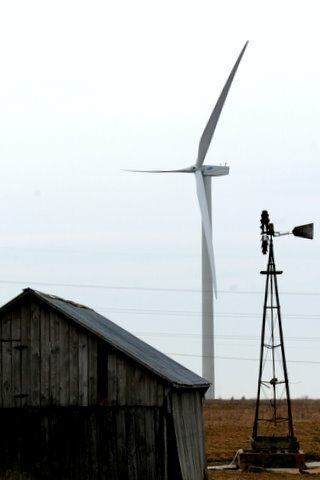 Wind farm opponents have withdrawn their appeal of Ontario’s approval of a four-turbine Zephyr Farms project near Watford. 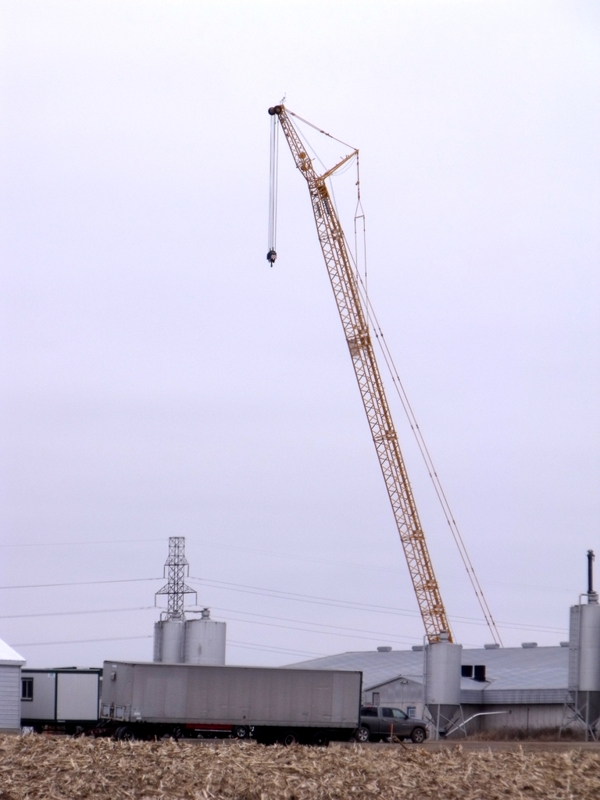 Several weeks of hearings were scheduled to begin next week in Alvinston. 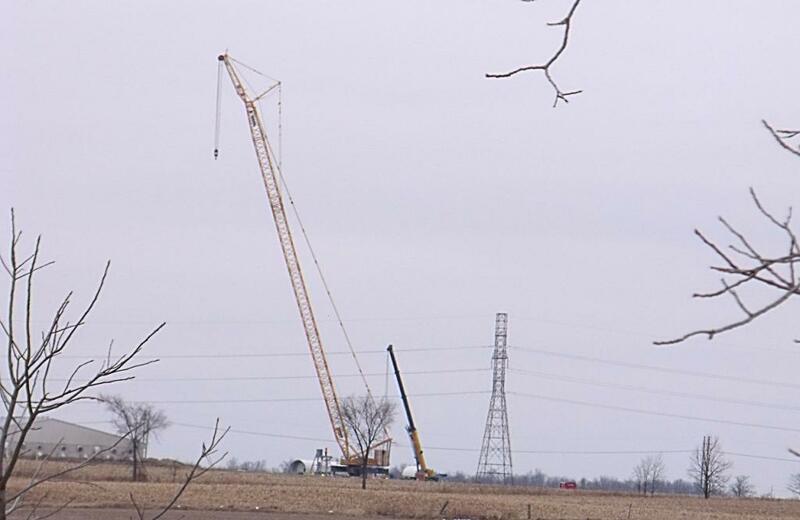 Esther Wrightman, with the Middlesex-Lambton Wind Action Group, said it made the decision to withdraw its appeal Thursday following a recent pre-hearing decision by the Ontario Environmental Review Tribunal. 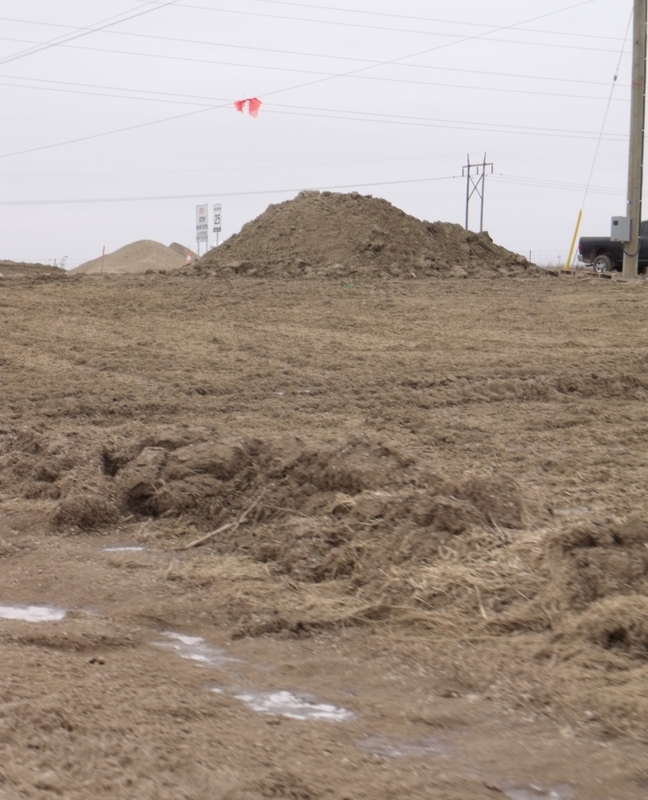 That came after the Ontario’s Ministry of the Environment submitted “about 170 questions” about medical, real estate and other records the government wanted answered by 23 witnesses the wind group planned to call at the hearings. Wrightman said the tribunal ruled, just six days before the start of the hearings, that it wanted to see the information the ministry requested. “It’s like being tripped on the last lap of your race,” Wrightman said. Gathering and compiling all of the information being sought before the hearing date wasn’t possible, Wrightman said. Going ahead with the hearings, in light of what the tribunal said, wouldn’t have been fair to the group’s witnesses, Wrightman said. 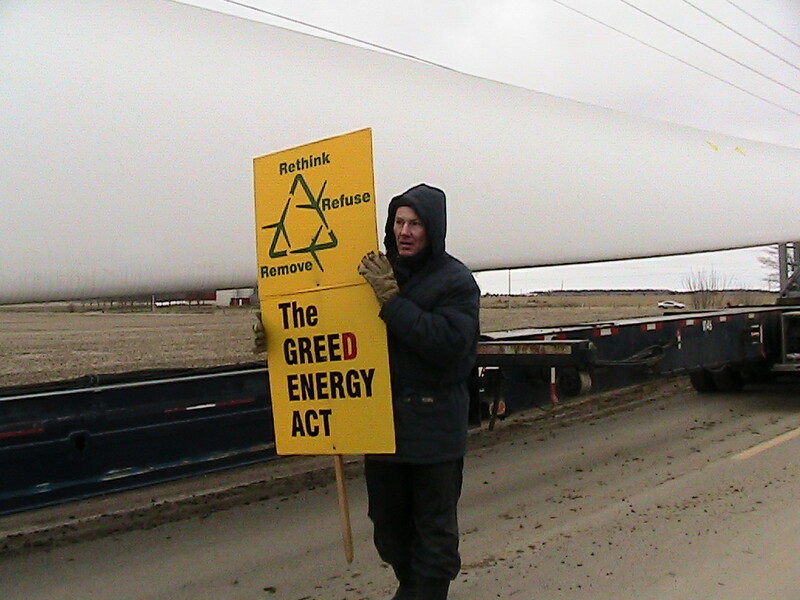 They included people living in communities around Ontario where wind farms are already up and operating. A lack of clear rules at the tribunal make it a challenge for group’s filing appeals, Wrightman said. 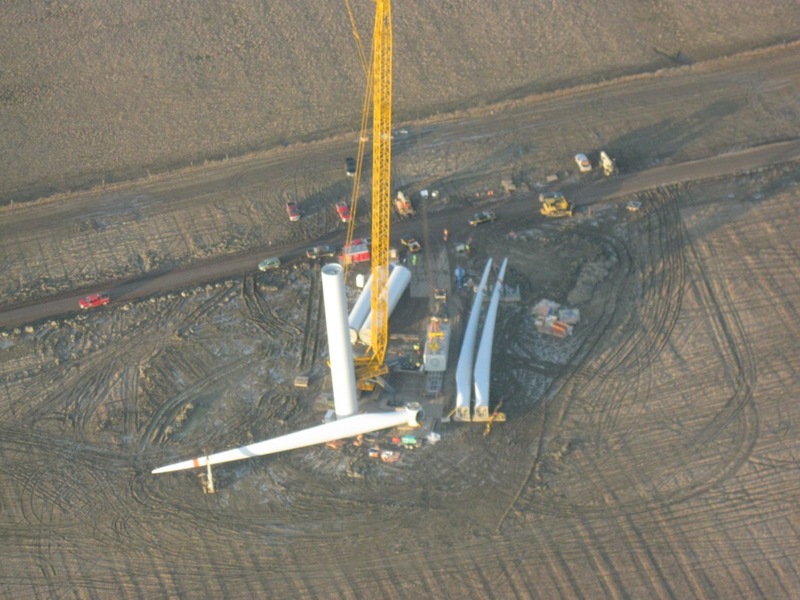 But, Wrightman said the lessons learned this time can be used by the group’s lawyer, and other wind opponents, in future appeals of other wind energy projects. “At least we have a clearer vision of what they want to see,” she said. 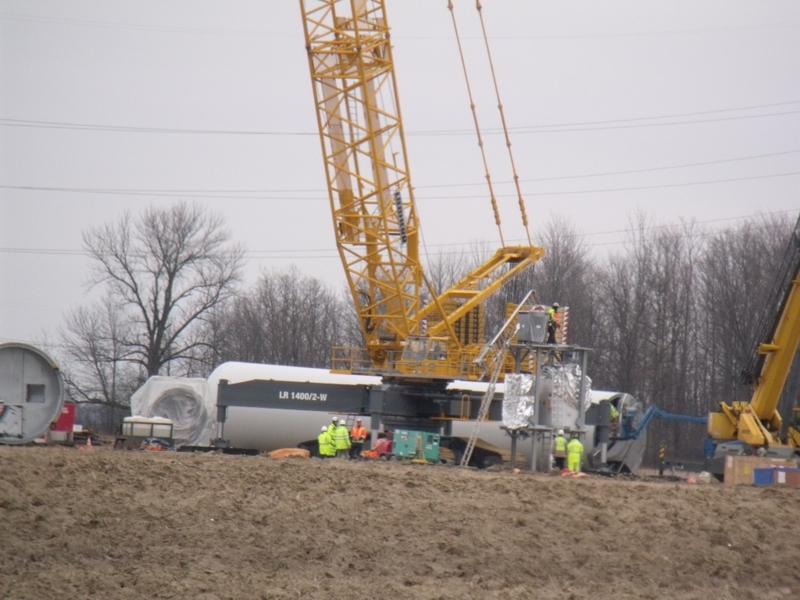 Important Message from Harvey Wrightman: The upcoming ERT hearing (Zephyr Wind project) is focused on residents from all over Ontario who have been experiencing the negative effects of living in close quarters with large, powerful wind turbines. It is important to know what kind of evidence we would need at the hearing. Wednesday, February 29, the ERT released a decision that has been very helpful for understanding what appellants need to bring before the Tribunal in order to be successful. 1) The Tribunal confirmed that the testimony of residents is important and will be accepted. 2) The Tribunal has indicated that certain additional documentation will assist them in making their decision. It is much better to have a clear directive from the Tribunal before the hearing rather than at, or after the full hearing has taken place. 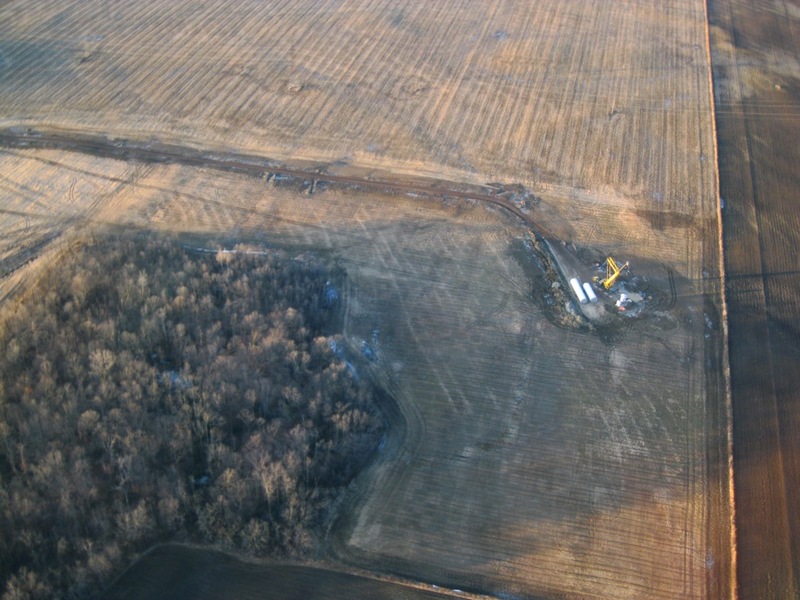 It is clear that it will not be possible to obtain and organize documents for witnesses prior to the start date of the Zephyr appeal, which is currently scheduled for March 7th. While we have an impressive staff, they cannot perform a Biblical miracle – i.e., produce in 6 days all the 23 witnesses’ medical records for the past 10 years. 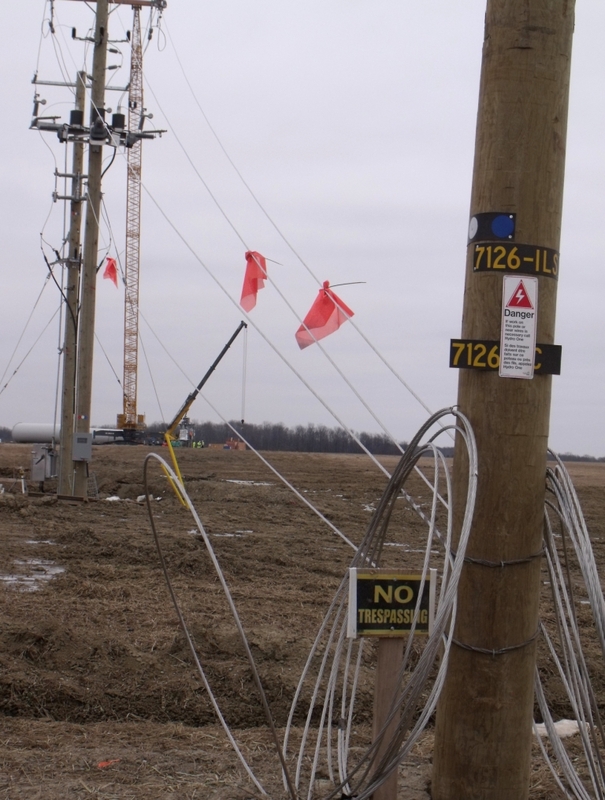 As a result, after consulting with the research team and counsel, the appellant, Middlesex-Lambton Wind Action Group Inc. has decided to withdraw the current Zephyr appeal. This was done Thursday morning. 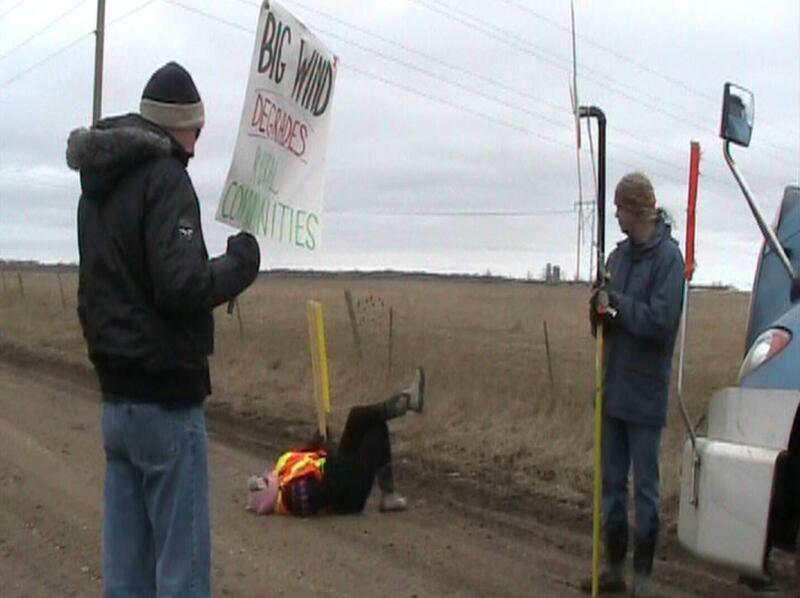 The case for wind turbine victims is not finished, only suspended for the moment. SW Ontario has been the most heavily targeted area and so this is likely where the battle will be fought. It is important that we put forward the best case possible. We are very fortunate that people who have suffered from living in wind projects are now volunteering to testify in court. This they are doing this for us. 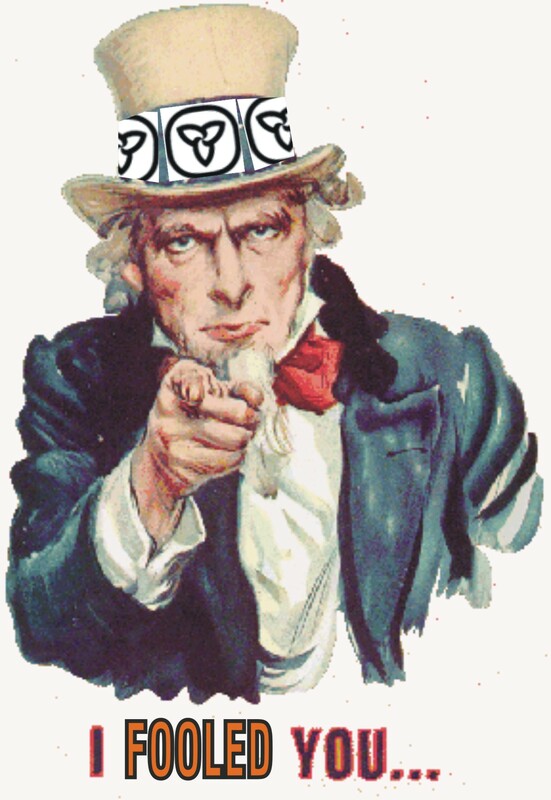 There are volunteer researchers who work behind the scenes for no glory and no pay, again, for us. The same can be said for the many “experts” who donate their time and assessment skills. The MOE and the wind companies have no volunteers. They cannot buy what our volunteers provide. There are base costs that we must assume, and since everyone benefits from the case being developed, we all own it. It’s not just about Alvinston or Mapleton or Highgate, It’s about every place in Ontario, and beyond. Together we can push forward this action. The relevant information will be collected and the victims of wind projects will have their day to speak, and be heard. I urge everyone to support the Mapleton appeal for that is the most likely place for us to make our case. We will return. 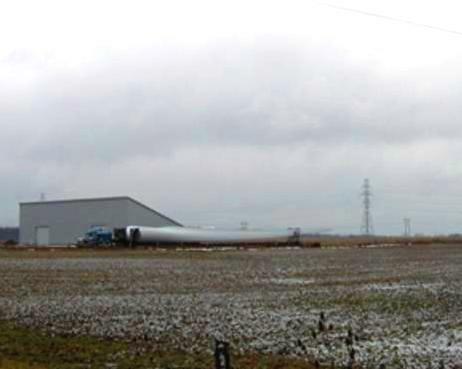 GRAND BEND – Those interested and concerned about the several large-scale wind turbine projects planned for the region packed the Grand Bend Public School gym last Thursday for an information meeting presented by the Middlesex-Lambton Wind Action Group (MLWAG). Guest speakers presented information on the health concerns of humans living near wind turbines, the impact on the environment, real estate values and electrical pollution. MLWAG is appealing the Zephyr Wind Development in the Watford area and member Muriel Allingham kicked off the meeting by noting that 422 industrial wind turbines are planned for Huron County, with 250 in Lambton Shores, including 48 in the Grand Bend area. 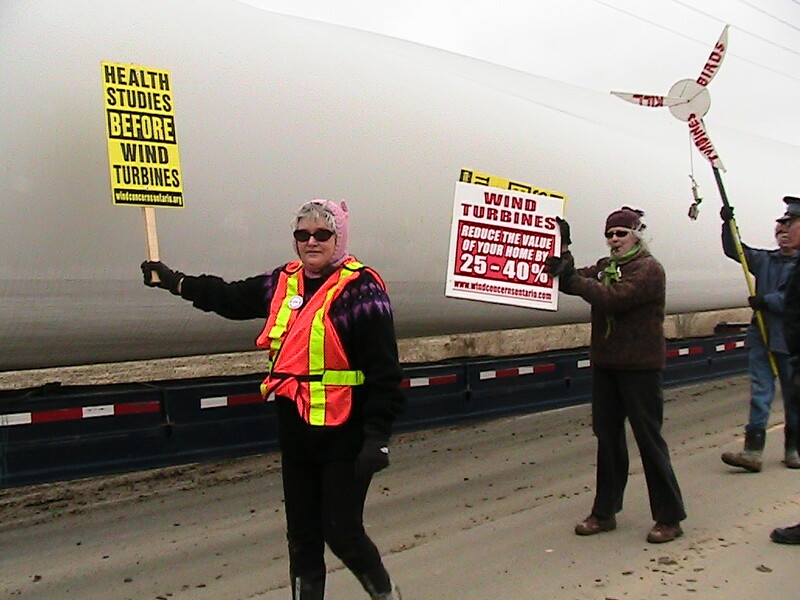 She said the turbines are taller than a 50-storey building. Of the concerns some members of the public have about large wind farms is the potential of the harm the turbines will do to their health. 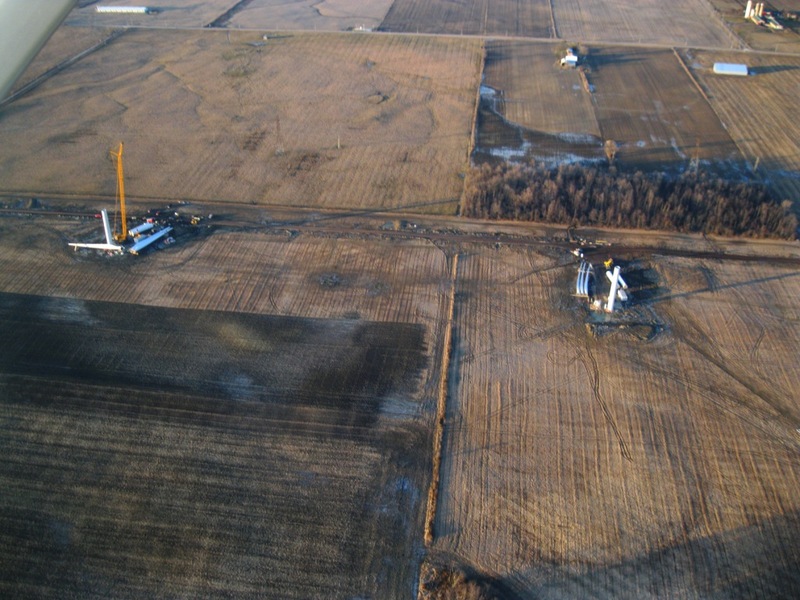 On that note, the Michaud family of Thamesville spoke about how their health has been affected since turbines were erected near their hobby farm. Don McGugan says a local group opposing a four-turbine wind-farm development in his municipality faces an uphill battle. 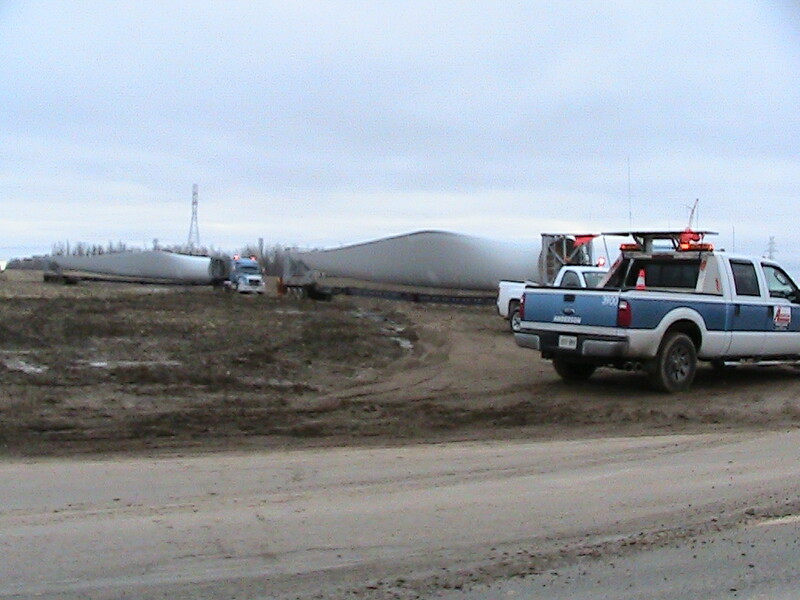 The Brooke-Alvinston Mayor says the Middlesex-Lambton Wind Action Group will have to make a strong argument to an Environmental Review Tribunal when a hearing begins next month. 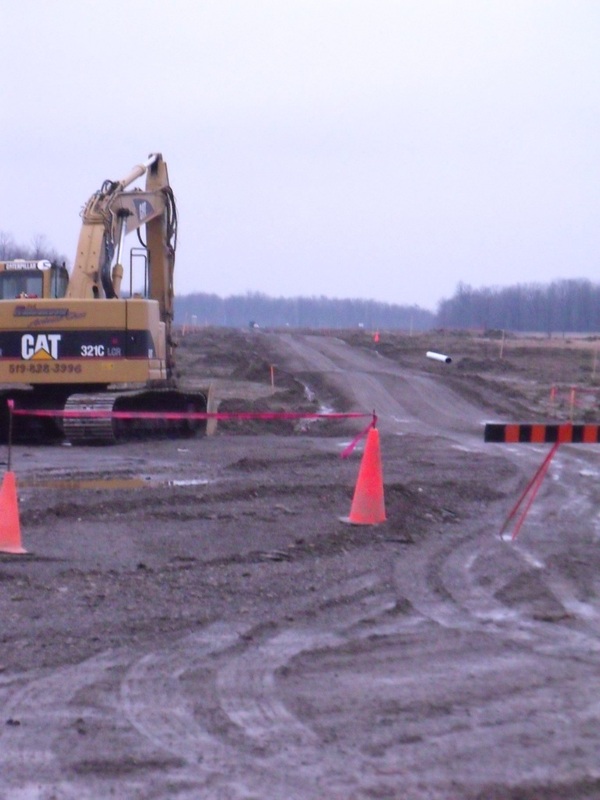 The Wind Action Group says it will be calling 25 witnesses, including two experts, when the 10-session hearing begins March 7th at the Brooke-Alvinston-Inwood Community Centre. 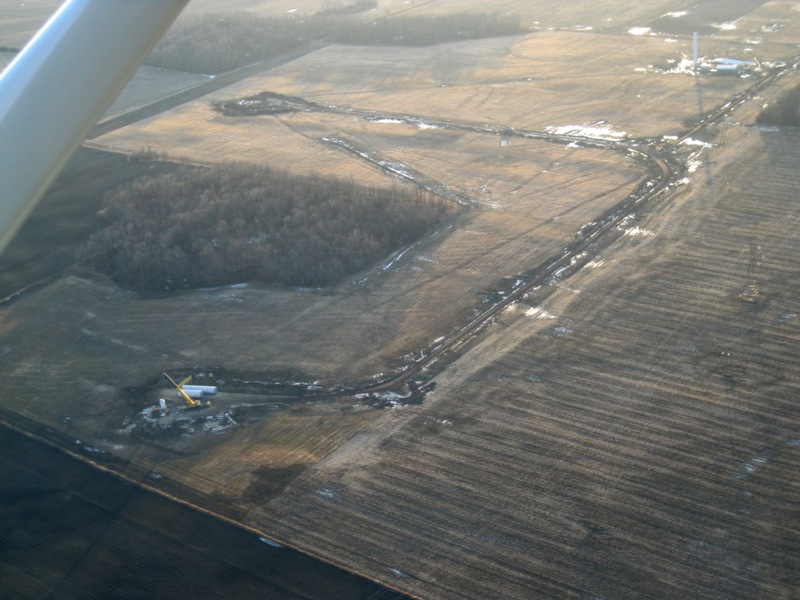 A motion to dismiss an Environmental Review Tribunal hearing against the developer of a four-turbine wind farm in Brooke-Alvinston has been denied. 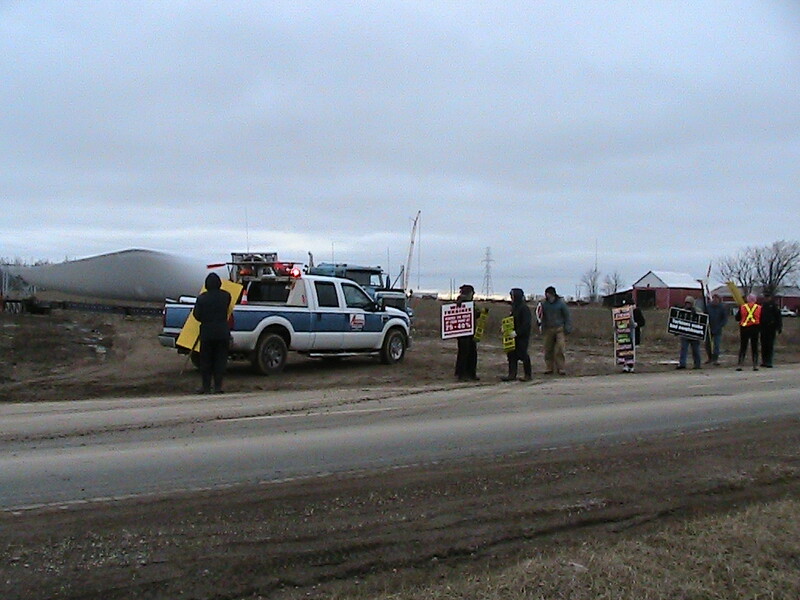 The tribunal will hear from the Middlesex-Lambton Wind Action Group beginning in March. The province’s Environment Ministry had been trying to get the hearing thrown out, claiming the appellant’s arguments are repeats of what has been heard in passed hearings. The Wind Action Group’s Esther Wrightman says it’s important hearings be held on a case-by-case basis. Wrightman says the Wind Action Group has 25 witnesses, including two experts lined up to speak at the hearing. The 10-session hearing begins March 7th at the Brooke-Alvinston-Inwood Community Centre, with two days of video-conference scheduled for Toronto. 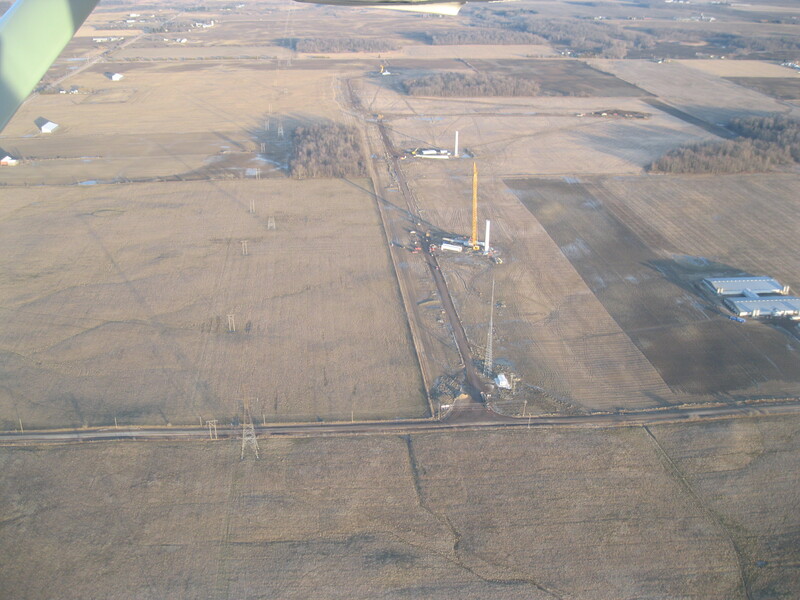 So this is the Brooke-Alvisnton Zephyr project from the air yesterday. I’m just looking at al those tracks across the fields — were they crop touring , or what? Why even have roads and lanes if they don’t use them? Nice and gentle onthat land, eh? Then imagine you are driving a tractor— you used to have a straight field to plow, but now you are wheeling around the lanes and towers; your field is all cut up into triangles and squares. Be sure to calculate in the extra time and fuel to plant, plough and harvest this field. ERT Motion to Scope Evidence Dismissed- yea! Environmental Review Tribunal panel has issued its decision on the Green Breeze’s motion to limit the evidence:- “Motion to Scope Evidence Dismissed“. This means that evidence need only meet the test of relevancy, and not be limited to what comments were submitted to the EBR. This is a significant victory and means future appellants will not be so severely restricted. All we’ve got left is civil disobedience, Dalton…. So this is what it’s got to be? Lay down in front of the semi. PS- tell your special unit undercover cops to wear proper clothing next time. That would be rubber boots (your precious turbines have destroyed our local roads – they are one way mud strips with no shoulders), winter jackets and maybe even some mitts and hats (don’t worry, we don’t care about shiny shoes and combed hair appearance out here). This is just so that they don’t stay huddled in the car 95% of the time. It’s a protest, not a church picnic. I mean frankly if you aren’t going to hang out with us, just leave it up to the local OPP- they were tough enough to take the cold. When we arrived, and were starting to pull out our signs, a large flock of tundra swans flew over us- it’s a month early for their migration. The wind company rep Brent Hull says the, “The migratory path is several kilometres away from the site”. Well today it was directly over the site, Brent. Watcha going to do about that? Put a sign up there directing them to some place different??? Just like you do to the residents? 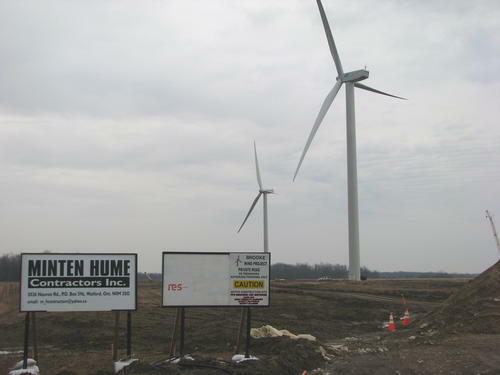 The Lambton-Middlesex Wind Action Group is lashing out against construction of 4 wind turbines at the Zephyr wind farm just southwest of Watford. 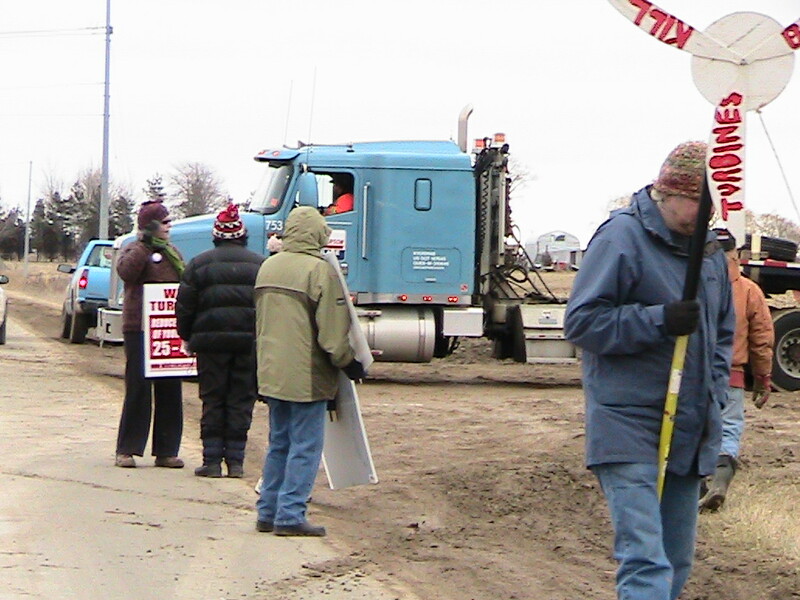 Some 40 protesters held a peaceful demonstration at the site this afternoon, slowing down activity by getting in front of gravel hauling trucks. This led to warnings from Police but no arrests had been made. Protester Blair Allin calls the industrialization of Ontario “unacceptable”. 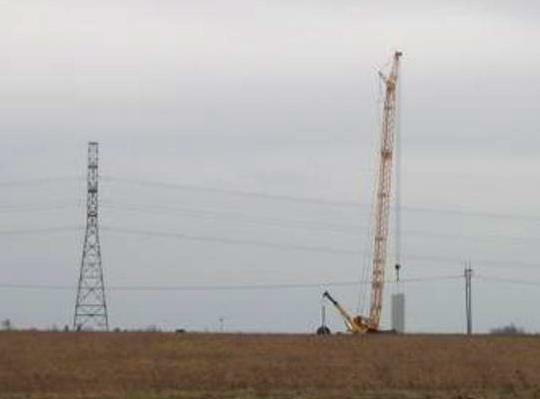 The group has protested against a number of local wind farm developments, and is currently preparing for an environmental review tribunal hearing against the Zephyr project. 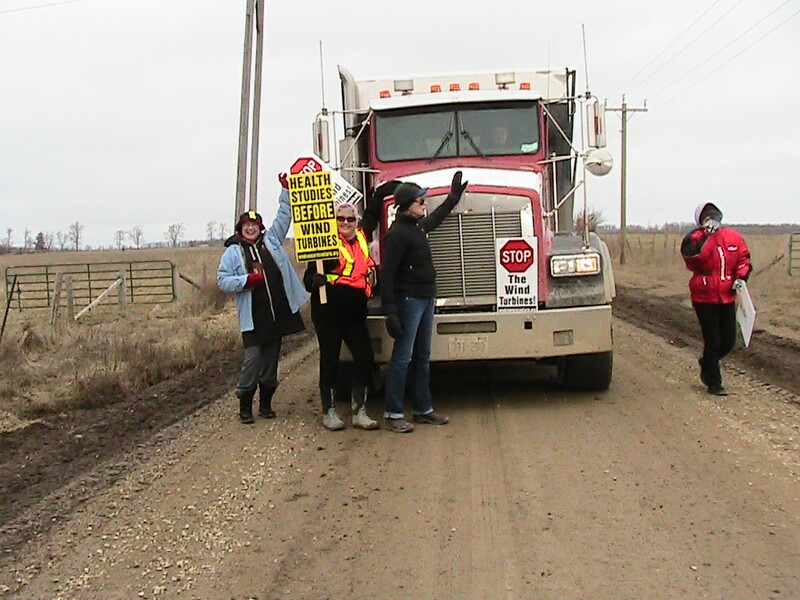 BROOKE-ALVINSTON — About 40 protesters rallied along a muddy rural road Tuesday where four wind turbines are under construction in an open farm field. 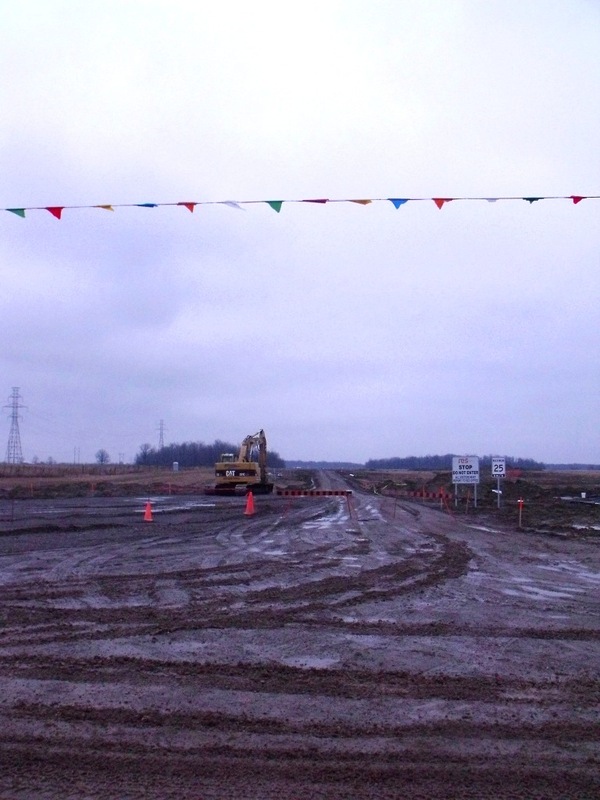 “If that means we will be standing in front of a bulldozer, that’s where we’ll be,” she said. 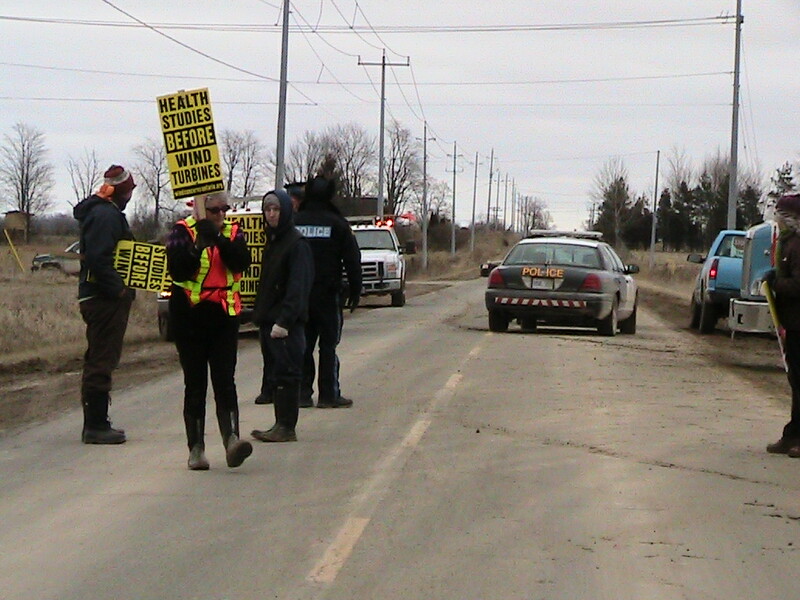 Members of the Middlesex-Lambton Wind Action Group (WAG) staged the protest to demonstrate against the $22-million, 10-MW project near Watford on Ebenezer Road and Churchill Line. 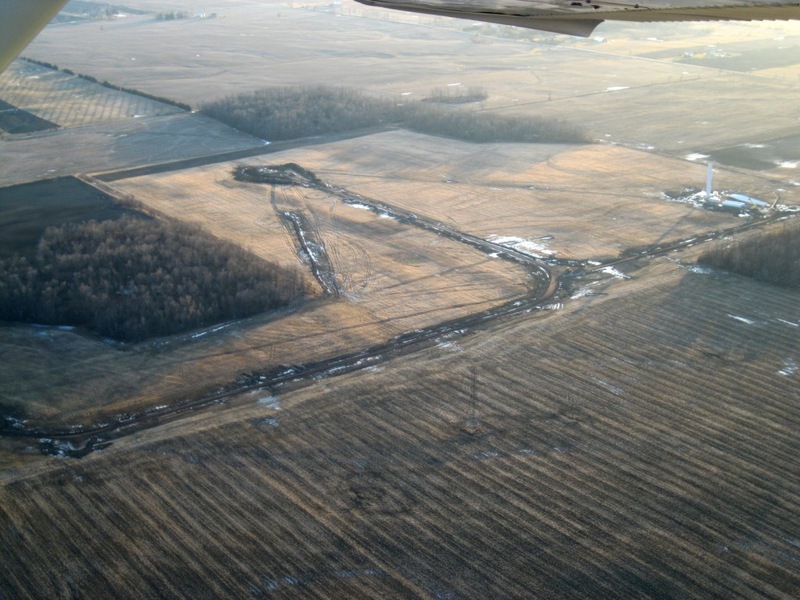 WAG has been a vocal opponent during the entire planning process and has appealed the Ontario Ministry of Environment’s approval of the project known as the Zephyr Wind Farm. 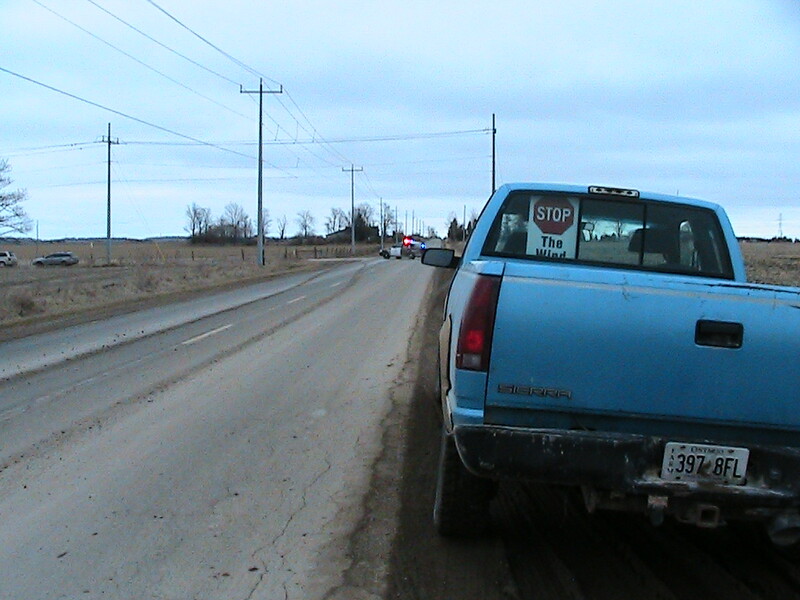 A hearing is set for Feb. 21 in Alvinston. 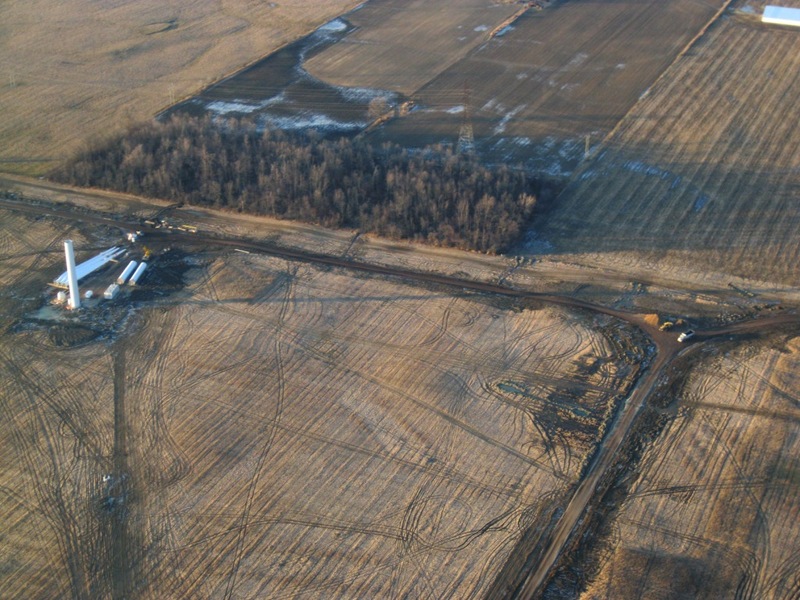 “It’s an atrocity,” said Jill MacInnis, who lives about two kilometres west of the site. 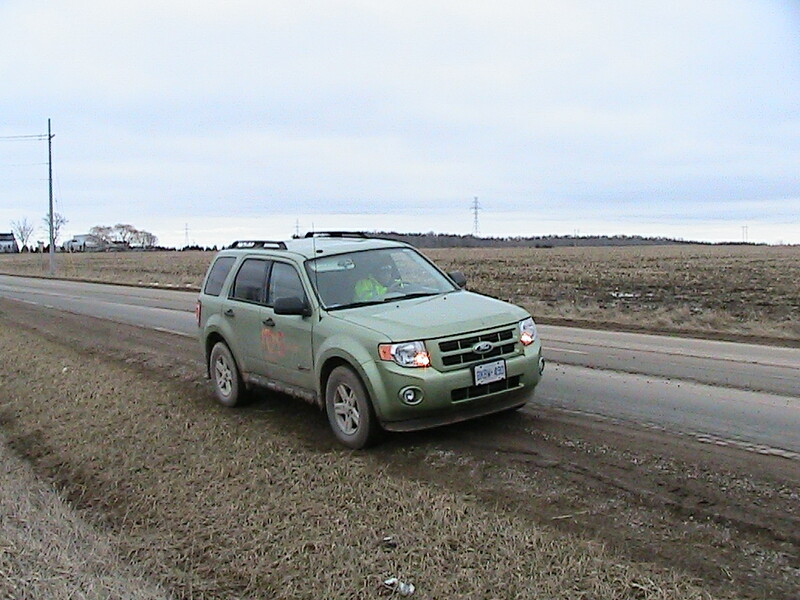 She is concerned about the wind farm’s effects on human health, as well as its impact on birds and animals. The intersection of Ebenezer and Churchill was built up quite a bit to repair the road when the tower pieces couldn’t make th corner. But then they spent another whole day building it up even more for the blades that arrived and they had to store at the barn (in the pic)… the flatbed with the blades wouldn’t make the turn. Thursday morning at 9:00ish, two small trucks with 4 way lights, cop car all lights, flatbed and blade, cop car all lights, then two more pickups with all lights flashing SPEED came down Churchill. You’d think it was the bloody Queen in town!! All three blades are now on site since the road was modified and widened at the intersection (for the 2nd time). The tower will go up quickly now, as soon as the weather is clear. 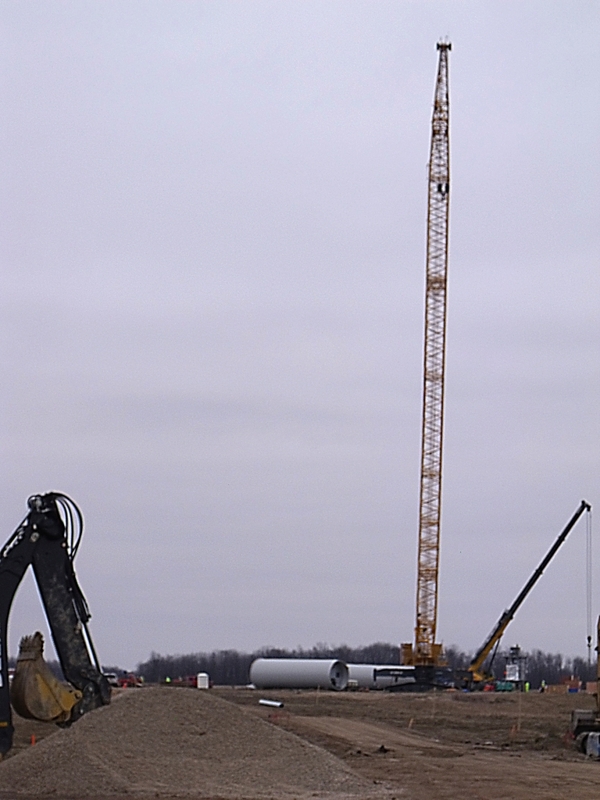 48.7 meter blades on site. Tower going up and road beign repaired, agian. 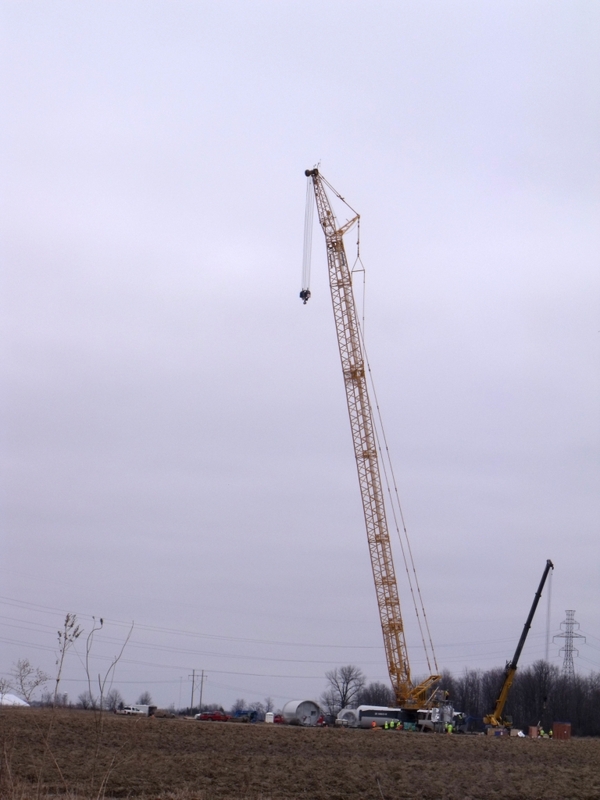 The giant crane arrive 2 days ago, and the truck was promptly stuck when it couldn’t make the turn off Churchill Line to Ebenezer. Churchill Line was closed that afternoon. Dump loads of gravel upon mud should do the trick…. Sure hope there is a road agreement with the township on this. As for the tower parts in the pictures below, yes those are tiny people beside them. 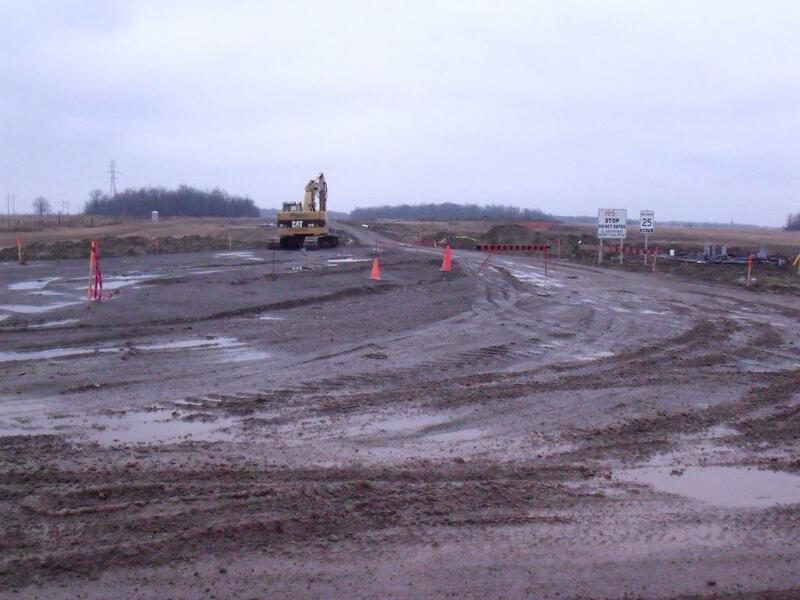 Muddy conditions caused by rain and mild winter temperatures have been a challenge for crews at the Zephyr Farms four-turbine wind project under construction near Watford. Mississauga-based Green Breeze Energy Inc., began work on the $22-million, 10-MW energy generation project in late 2011 after receiving approval from Ontario’s Environment Ministry. Brent Hull, vice-president with Green Breeze Energy, said the work has stayed mostly on schedule, even through the wet weather. “In the beginning, when we were digging the holes for the foundations, they just kept filling up with water because it was raining so much,” he said. 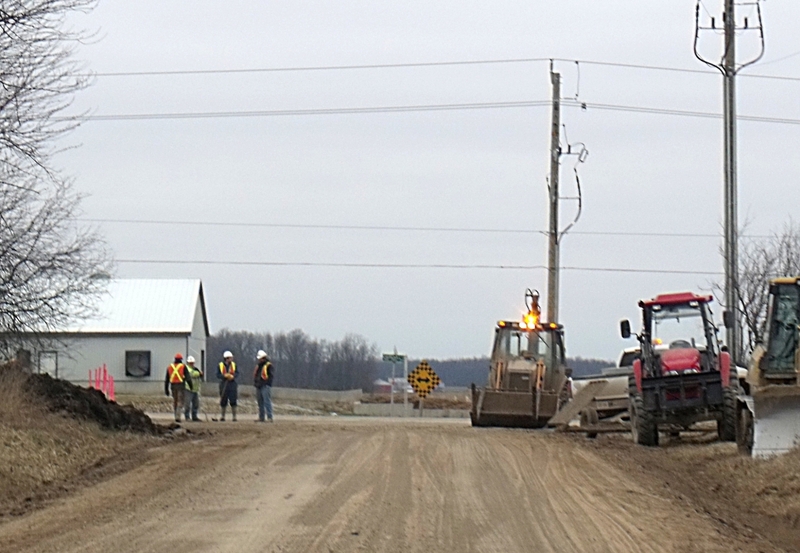 Access roads have been built to the site on Churchill Line, between Ebenezer and Old Walnut Lines in Brooke-Alvinston Township, plus the foundations are now in place and underground wiring for the electricity collector system is nearly complete. The turbines, made by Samsung of South Korea, are sitting dockside in Windsor waiting to be trucked to the site, Hall said. 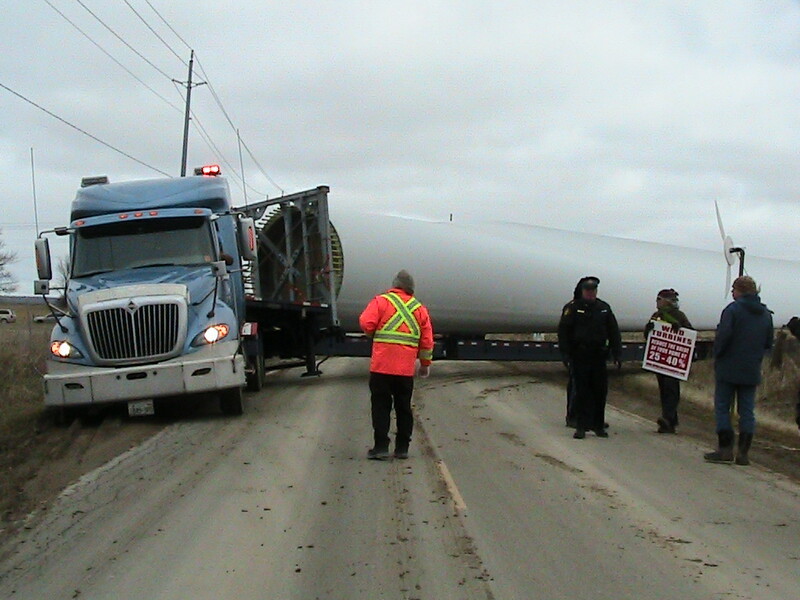 The 100-metre blades will be trucked to the site from the manufacturer in Arkansas. 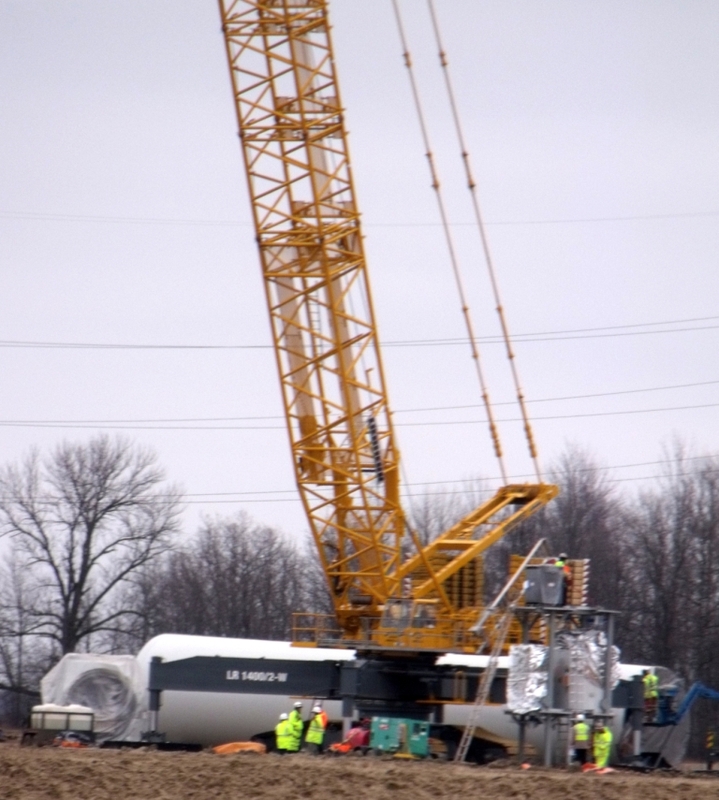 “The turbines should be all up and ready to produce power by the end of February,” Hall said. Some time made be needed after that to test the equipment before it begins generating power, he added. 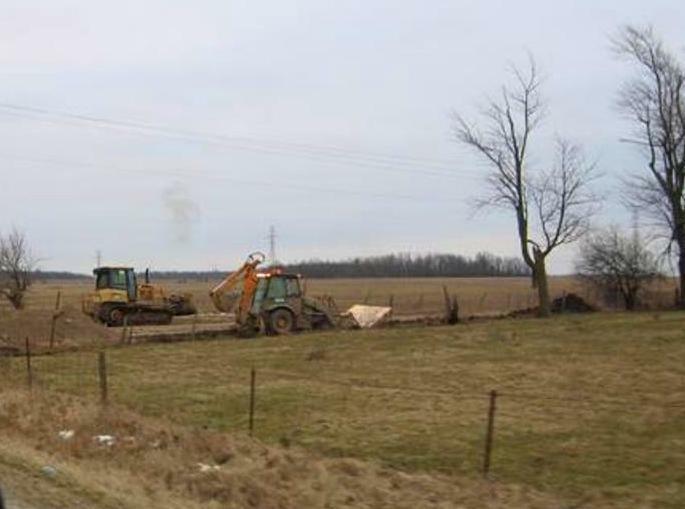 The ministry’s approval of the wind project has been appealed by the Middlesex-Lambton Wind Action Group. Hearings are set to begin in February but the appeal hasn’t impacted the construction schedule, Hall said. 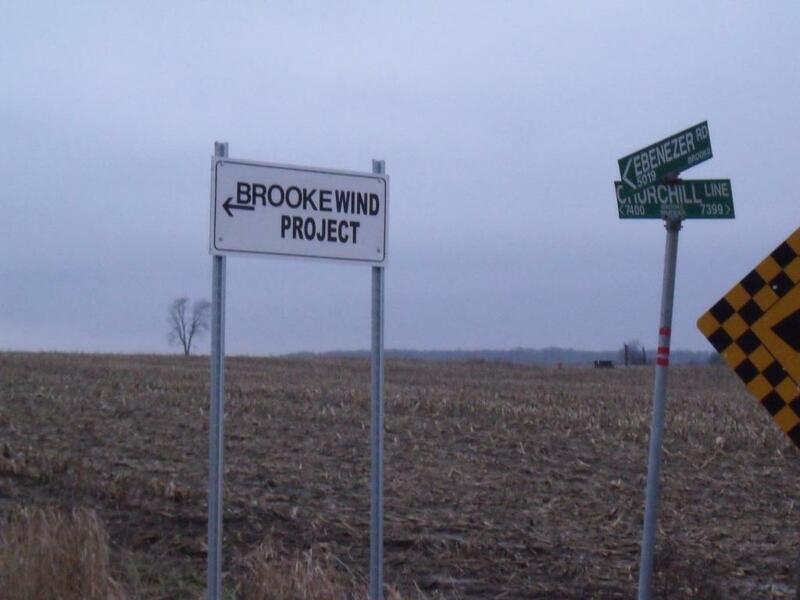 The fate of the Ontario Environment Ministry’s latest attempt to scuttle a challenge of its approval of a Brooke-Alvinston Township wind farm project could be known soon. 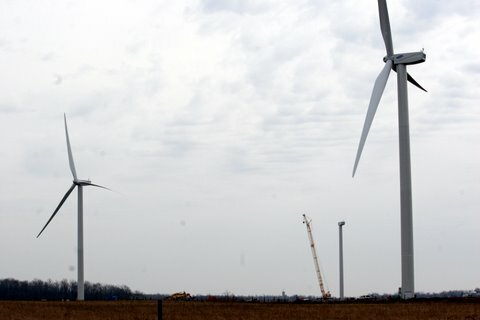 Following a Jan. 6 hearing in Toronto, Ontario’s Environmental Review Tribunal reserved its decision on the province’s motion to dismiss the Middlesex-Lambton Wind Action Group’s appeal of the provincial approval of the four-turbine Zephyr Farms wind project under construction near Watford. 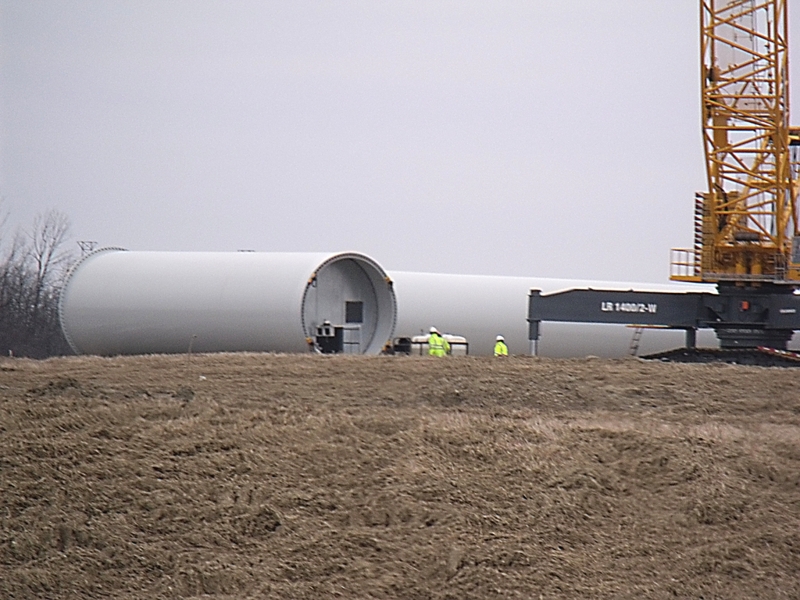 “They have now indicated that they hope to get a decision released sometime next week,” said Eric Gillespie, a lawyer for the wind action group. 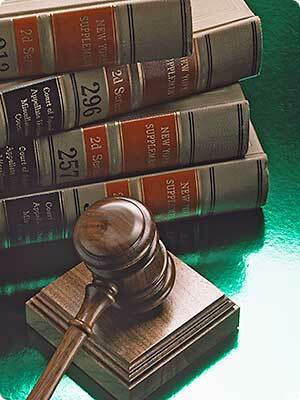 The ministry’s first motion to dismiss the appeal was denied by the tribunal in December. Gillespie said he and the wind action group have provided additional information to the tribunal since then. Let me know if you see the project owner’s name anywhere (or any variation) on these signs. Do you see “Oneworld”, or “Greenbreeze”? Noooope. Hmmm. OK, how about “Stantec”? Huh. Geeze these reps were everywhere at the public meetings, and they are nowhere to be seen once the turbines are being constructed. Here’s one that HAS to be there- “ZEPHYR”. Nowhere to be seen. Well that’s confusing. Hey- check out what they DO have: such as”RES”—I’ve never seen them associated with this project. 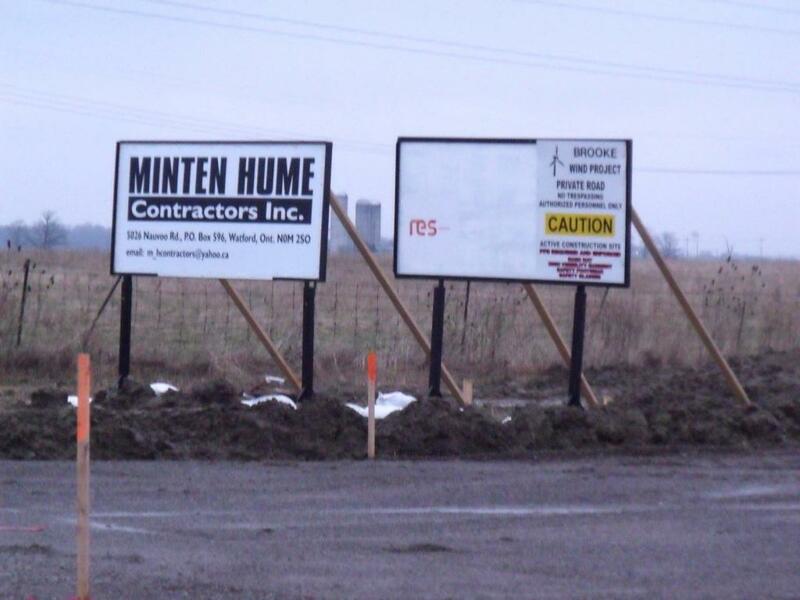 And “Minten Hume Contractors Inc.”, another one you won’t find in the ‘project documents’. 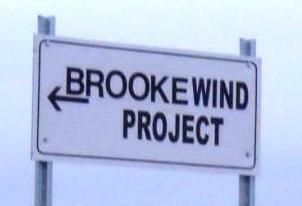 Or how about the project name: “Brooke Wind Project” – that’s not officially the name of this project (Brooke-Alvinston Wind Farm). Imagine you are a passerby, or a nearby resident and you think you might like to know a bit more about this project that you are driving by. You scribble down the names, drive home, type them into the google search….and…..nada. Apparently this project doesn’t exist. It’s a whole pile of alias names. Do you think the company did this all by accident? 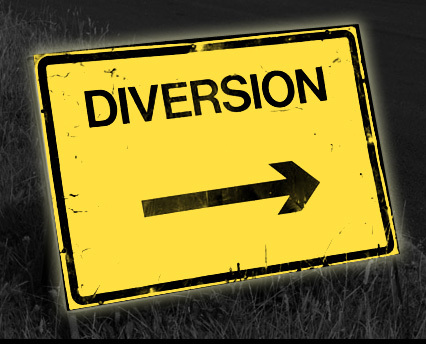 Or maybe the intention is to confuse the public- make the info a tad more difficult to find – hope that people give up, don’t get educated, don’t get involved. 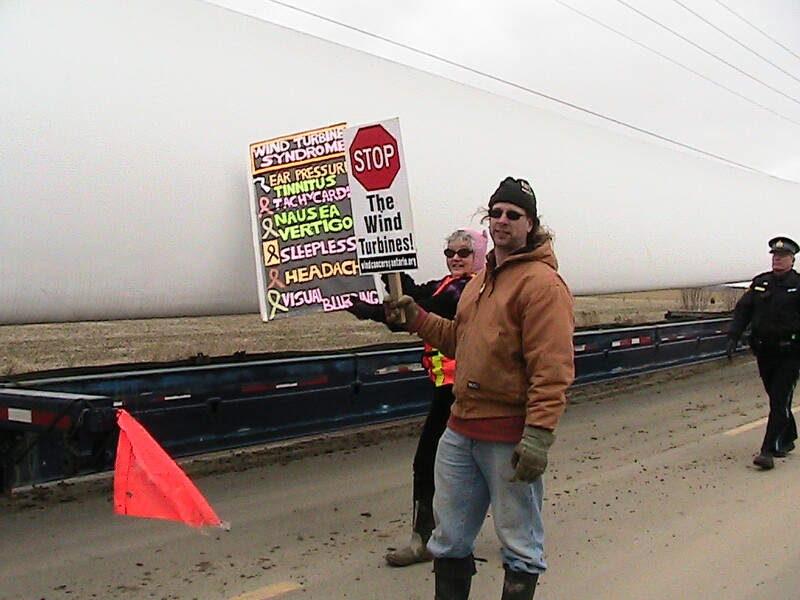 PLYMPTON-WYOMING – Eric Erhard doesn’t like wind power. “If there was no other source of electricity in the universe, then maybe a wind turbine would be acceptable.” The professional engineer from Plympton-Wyoming first spoke up against them when Suncor tried to convince his municipality to host an industrial wind farm. 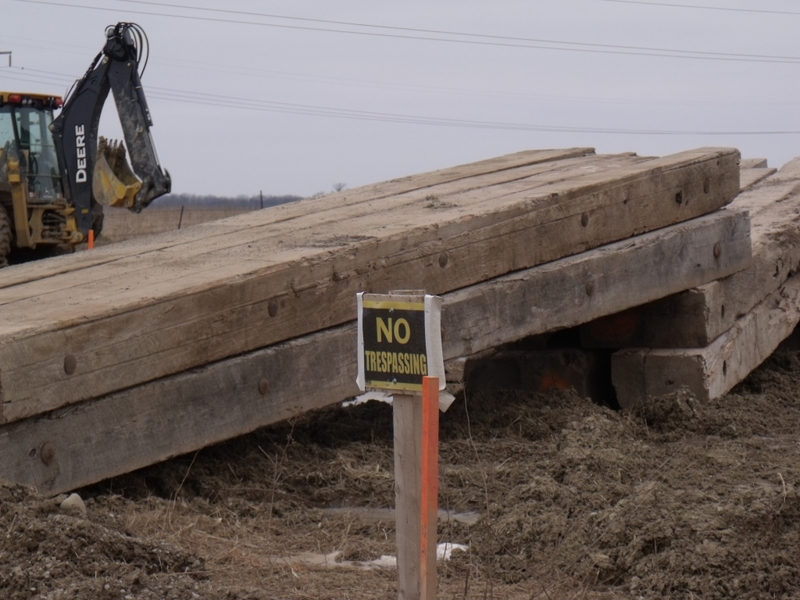 Now, he will be one of the objectors when the Ontario government faces off against people opposed to the project February 21. And he says it is not environmentally friendly. Erhard says it needs other energy sources to back it up and the construction process for the turbine creates tonnes of carbon dioxide emissions, not to mention the harm turbines do to wildlife. “They’re improperly called green; they do significant damage to birds, bats and to the environment in the production of turbines. But it is the health effects of four wind turbines just outside of Watford which will be under scrutiny at an Ontario Environmental Review Tribunal. 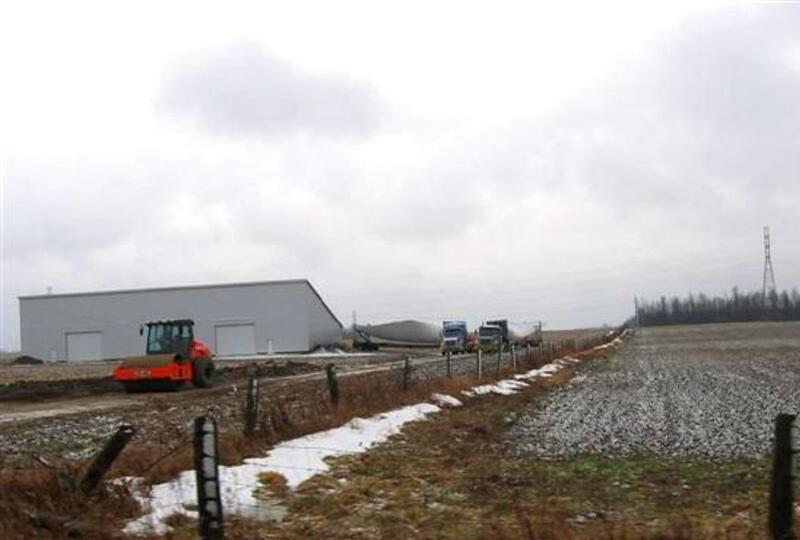 The Middlesex-Lambton Wind Action Group filed the appeal after provincial government approved Green Breeze Energy’s four turbine 10 megawatt project worth about $22 million. Erhard hopes to back the group up with information he’s found from the World Health Organization and studies done for the province of Ontario. Erhard says a recently released study done for the province says a the placement of wind turbines 450 meters from homes will result in “non trivial numbers of people being highly annoyed” by the low frequency sound. Erhard says government studies place the turbines at a distance which will “highly annoy” between 6.5 and 8 percent of the people nearby. 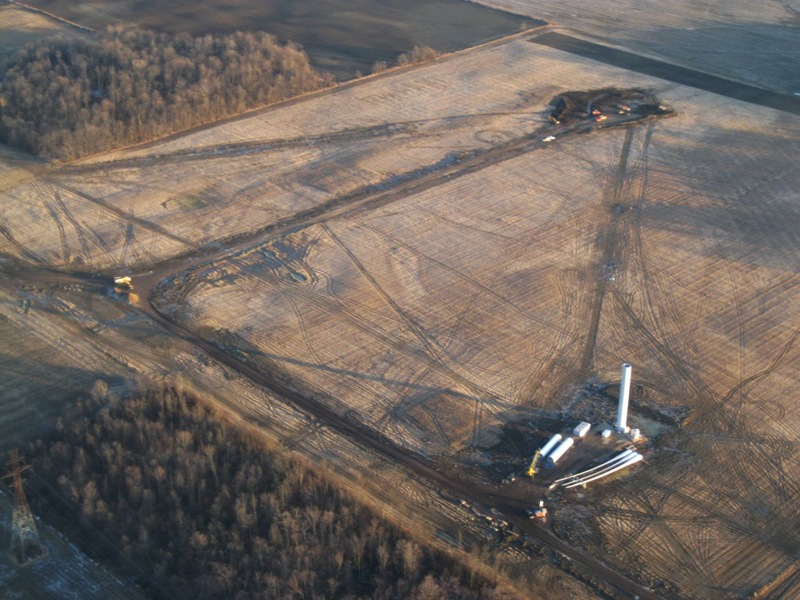 The Ontario government’s December 16 press release relates to a report commissioned by the Ministry of the Environment and written by HGC, an engineering firm. The timing of this press release is curious, as it appears the same report was in draft form in August 2010 then submitted as a Final Draft December 2010 by the MOE as evidence during the Environmental Review Tribunal and finally to the public in August 2011. Why would it suddenly warrant a press release in December 2011? 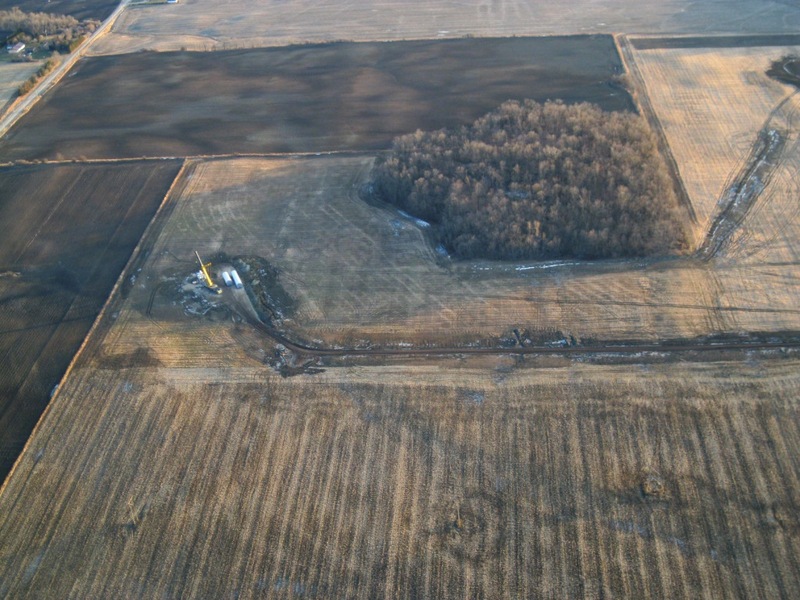 Could it be an attempt to divert attention from the upcoming appeal hearing in the Watford area for the Zephyr wind project? Statements about ‘no direct health effects’ are a red herring, because it is acknowledged by international experts (including experts called upon by the MOE and wind energy proponents) that wind turbines cause adverse health effects via the ‘indirect’ pathway. Even Mr. Howe (of HGC) acknowledged under oath at the 2011 Environmental Review Tribunal (ERT) that indirect effects are still ‘something that can occur’. 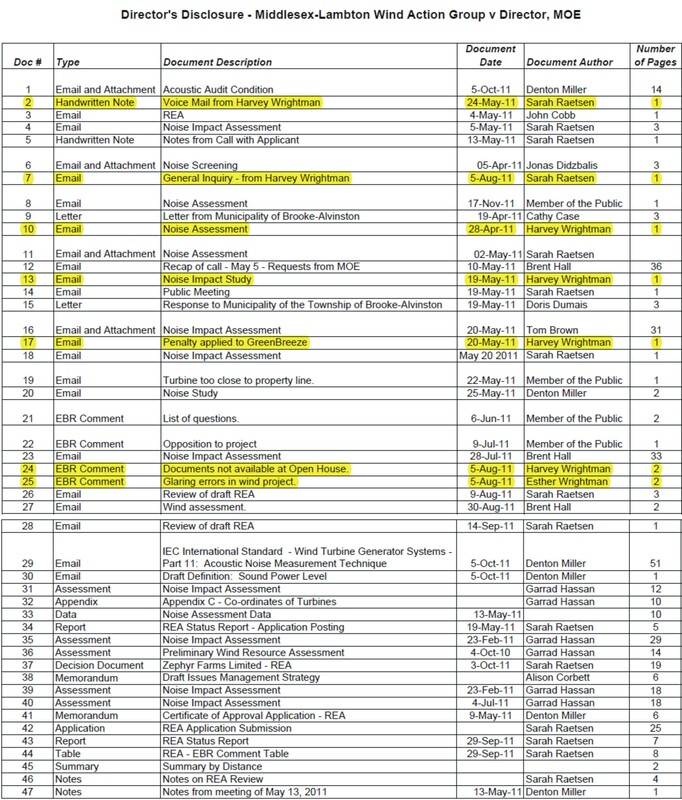 – When it comes to health, why is the government commissioning reports and relying on information generated by an engineering firm, who is a member of the Canadian Wind Energy Association? – Why are desk top literature reviews still the government’s method of choice to address concerns rather than properly designed independent field epidemiology studies performed by qualified epidemiology experts? – Why was the press release issued now, when the referenced report was compiled in 2010? The press release and report unfortunately do no justice to the families who have already been impacted and displace from their homes at projects throughout the province due to adverse health effects.